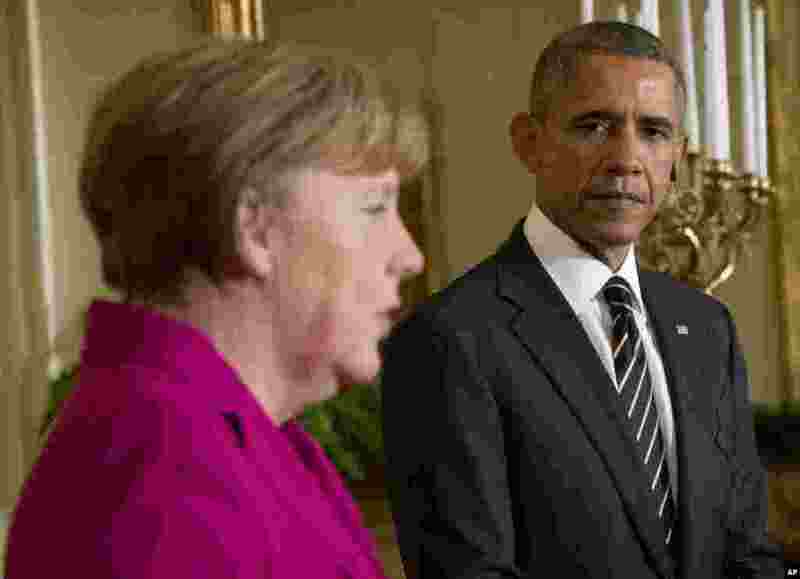 German Chancellor Angela Merkel arrived at the White House Monday for talks with President Barack Obama on the fighting in Ukraine amid intense diplomatic activity to end the crisis in the country and the resulting stand-off it triggered between Russia and Western allies. 1 President Barack Obama listens as German Chancellor Angela Merkel speaks during their joint news conference in the East Room of the White House in Washington, Feb. 9, 2015. 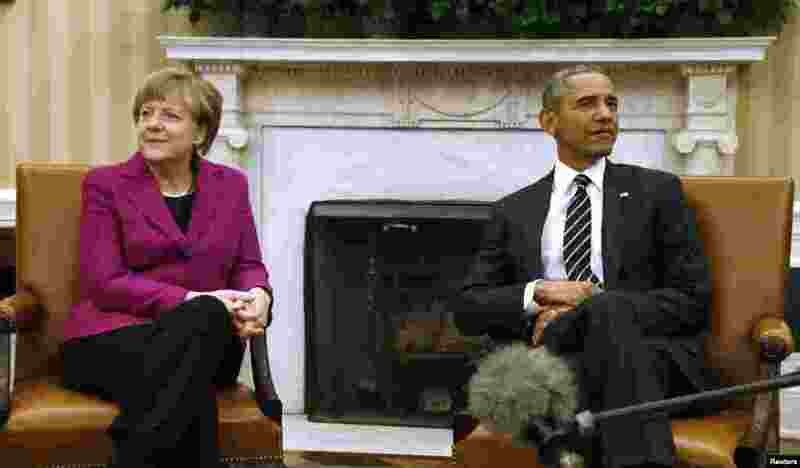 2 U.S. President Barack Obama and German Chancellor Angela Merkel are seen ahead of crisis talks on Ukraine at the White House in Washington, Feb. 9, 2015. 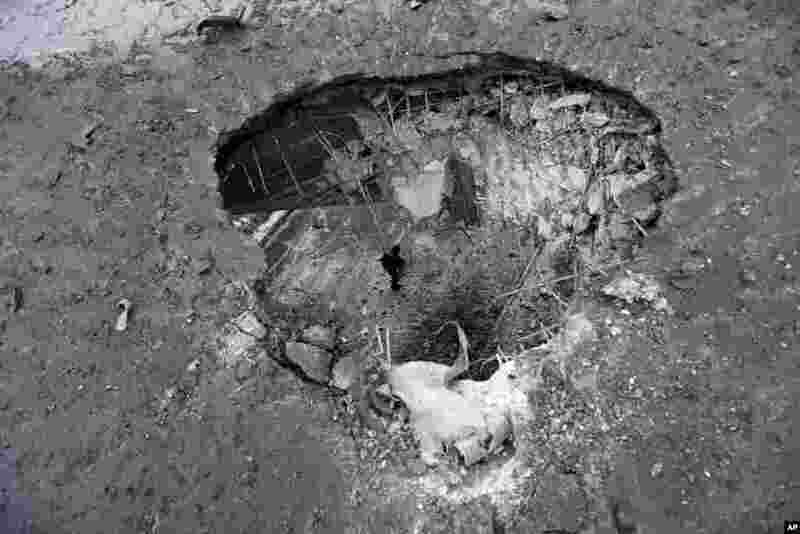 3 A man is seen through a crater created by a rocket from underneath a bridge in Donetsk, Feb. 9, 2015. 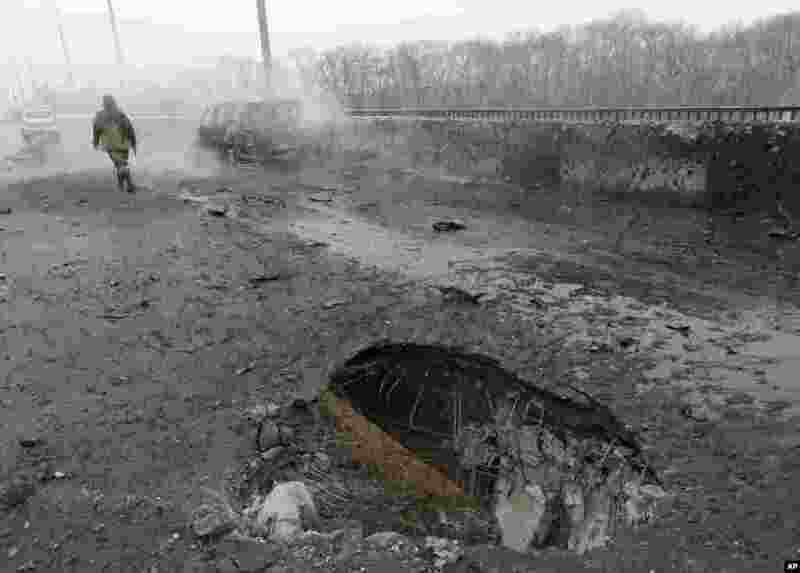 4 A pro-Russian rebel walks past a car destroyed by a rocket during recent shelling in Donetsk, Ukraine, Feb. 9, 2015.